The first (and hopefully only) time that Zelrig has failed me. It brought a great smile to my face to hear him be called a dinosaur, though. Ironically, I gave her a Mimring from the spare figure box for helping and he/she is indeed a dragon. My crew does a lot of volunteer work. From donating blood and sorting/stocking at the local food bank, to beautification/clean up of our area hospice, to winter clothing drives. Daughter #2 knows about these drawings and challenged me to give a few sets away to folks making a difference in their communities. So, feel free to brag about what you do. Post an image/description of your most recent (non court ordered ) volunteer efforts and my expert panel of judges will select winners. I realize not everyone has the time to volunteer, so if instead, you dropped a few $ to a cool organization like heifer.org (one of my fav's), let the community know. p.s.s. 37 Days to Indy! 16-player, 4 round tournament. Players bring a pre-drafted 600pt army (16 figure limit, no Marvel). The army MUST include at least 450 points worth of Large and/or Huge figures. Prizes awarded. Did I win by the power of a caffeinated youngster. If I won something that will make great tournament prizes. Thanks for running these fun giveaways ponyboy. You sure did. PM a mailing address and I'll get these mailed out. 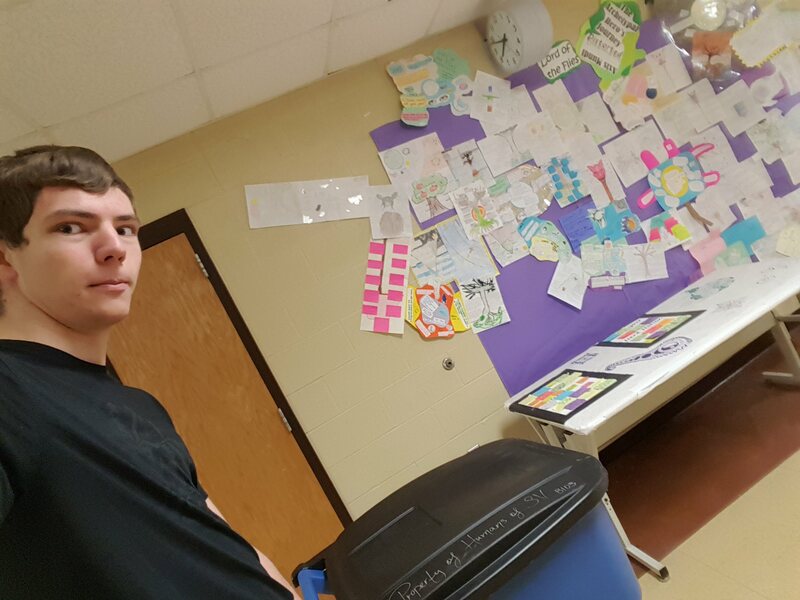 I was the Vice President of my school's National Honor Society chapter, and one of the main activities that I did was go around and collect the recycling from all of the teachers at my school to take them out. Normally, it would be a large group effort, but due to some disorganization as various clubs traded responsibilities, most of the other members were unable to help with recycling. Awesome! PM a mailing address and we'll get a set sent out. Thanx for the 'contest' PONYBOY. Stay Golden. I picked up my set at Gen Con. Thanks again for your generosity! Don't think of it as being outnumbered. Think of it as having a wide shot selection! How to get to Skyknight's house: Drive to the red light, then call him.